Ziggy Stardust discovered his love for DJing at the age of 17 when a friend asked him to join at a party! "I really got involved quickly and because I’ve been playing drums all my life, beatmatching wasn’t that hard for me". Performing at birthday parties and schoolparties left him craving for more. Ziggy is playing at the biggest events and festivals throughout the Netherlands with all major EDM arstists. Even recognised as the upcoming talent by deejays nr.1 electronic equipment distributor, Ziggy won 2009’s Pioneer Pro DJ Contest. Now Ziggy is rocking all big clubs in Holland and even abroad in countries like Aruba, Turkey, Greece, Czech Republic, Sweden, United Kingdom, United States, Spain and Curacao! 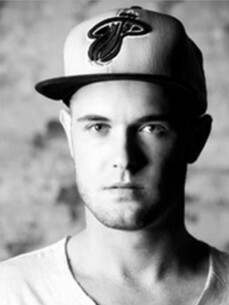 Ziggy started producing at the age of 19 and is now signed to the world's leading EDM label Spinnin records. Ziggy made a breaktrough with his remix for Martin Solveig and his original track Cosmic. Ziggy's producing skills only kept on growing, and he is now supported by the likes of Afrojack, Martin Solveig, Hardwell, Tiesto, Laidback Luke, Dimitri Vegas & Like Mike, Steve Aoki, Diplo and many others. Ziggy made official remixes for Martin Solveig, Flo-rida, Chris Brown, Timbaland, Ian Carey and Spencer & Hill & Nadia Ali!